SoccerStarz foil bags contain a single random figure. Who will be in yours? 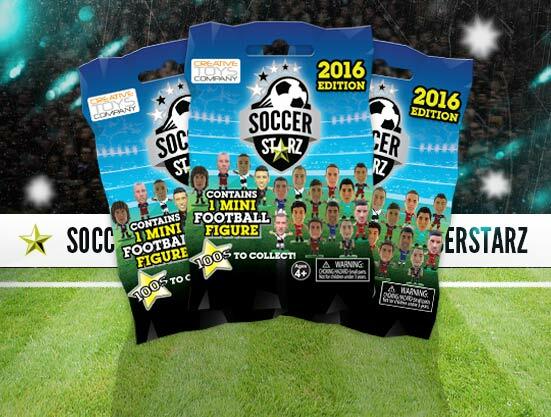 You can collect SoccerStarz from 15 of the 20 teams in the Premier League, as well as top clubs from European Leagues like Barcelona, Real Madrid and Borussia Dortmund! Each player is available on 9 different base colours that vary in rarity. Will you find a super rare orange or bronze base? Also included in the 2016 Edition is a surprise Brazil player. Who is he and will you find him? 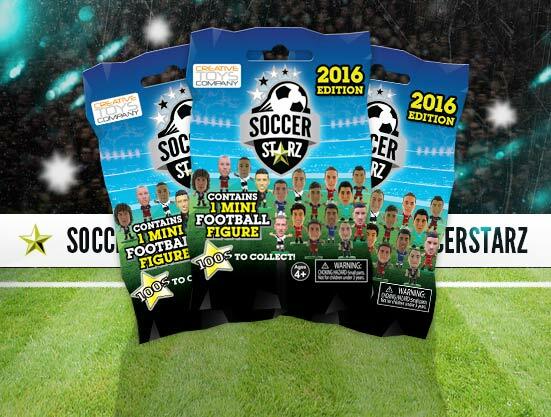 Here is a list of SoccerStarz that are available at launch of the 2016 Edition foil bag and there is more information to follow soon however this is subject to change and more players may be added later! Keep checking out SoccerStarz.com and our social media sites for the latest updates!